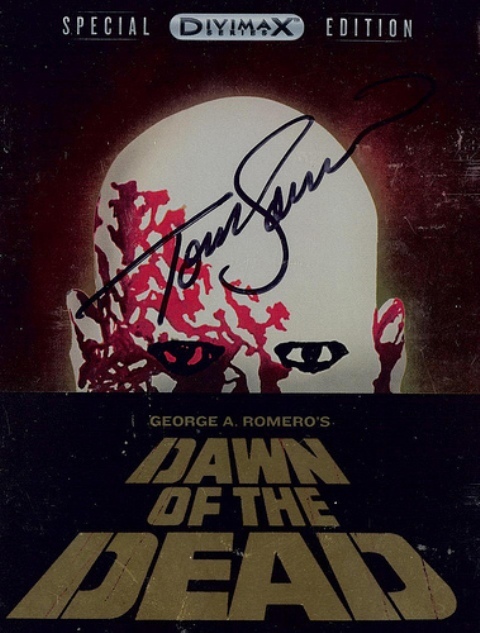 TALES FROM HORRORHOUND WEEKEND: Tom Atkins & The Masks of HALLOWEEN III! Celebrity encounters, while usually pleasant, are rarely as enjoyable when one meets the legendary Tom Atkins! The 2011 Indianapolis Horrorhound Weekend along with Mask-Fest was the perfect venue for featuring Atkins along with some alumni from one of his films. 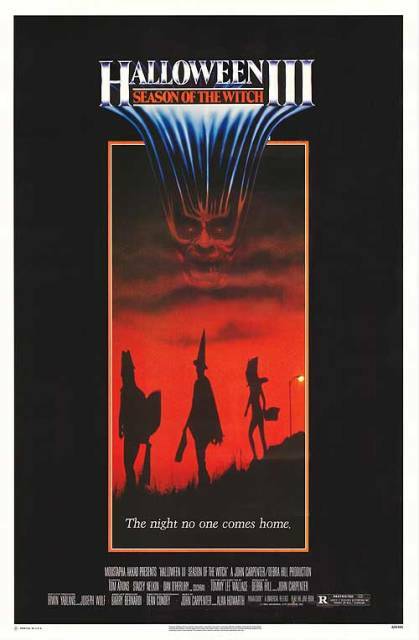 HALLOWEEN III. The film’s director, Tommy Lee Wallace, Atkins, along with his co-star, Stacey Nelkin were all on hand at this event – sitting side by side. A Horror Fans Guide to Long Distance Autograph Collecting! TERROR FROM BEYOND THE DAVES is pleased to welcome Richard Church as a guest writer! Mr. Church generously agreed to not only share his personal experiences in collecting autographs, but photos from his amazing collection as well! For the Love of Latex: Mask-Fest 2011! Halloween masks. Some people hate them, some people love them and others just don’t understand the attraction. Growing up I always had to have some kind of Halloween mask with my costume. When I was young I started with those Ben Cooper costumes with the vinyl body suit and plastic mask with the rubber band that held it to your face. 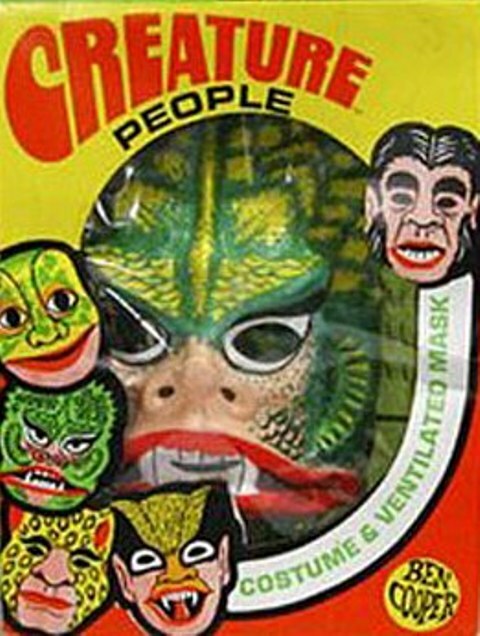 As I got older I graduated to rubber monster masks, most of which had little to no resemblance to what they were supposed to be. Times certainly have changed! “Halloween III” at Horrorhound Weekend: Featuring Tom Atkins! The last convention The Daves attended together was New England’s “Rock & Shock” back in October. One of the highlights of that event was the opportunity to meet Adrienne Barbeau (see full details HERE) as she was a key player in one of my all-time favorite films, THE FOG. The 2011 Indianapolis Horrorhound Weekend provided two more celebrity encounters from that iconic film; Tommy Lee Wallace & Tom Atkins. The Daves meeting the Toms was one of our top Horrorhound priorities! Aside from THE FOG, both men have been involved in many other iconic horror films from the 1980’s (our teenage years). This was also the golden age of slashers as well as a prolific period in the horror genre itself. 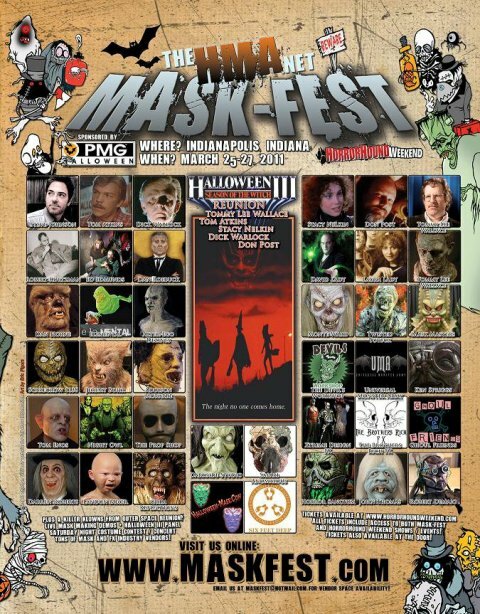 A Mask Collector’s Dream Come True…HMA’s MASK-FEST 2011! I have been a collector of Halloween masks since about 1985. At the time the 3 main companies were Distortions Unlimited, Don Post Studios and Be Something Studios (now known as Zagone Studios). Back then, before the internet, ordering out of catalogs was the norm and writing letters and making phone calls was how we were all able to keep in touch with each other. Times certainly have changed! My Top 13 Movies for the Halloween Season! Anyone that knows me knows that I love horror, sci-fi and monster movies and pretty much watch them all year-long. When it comes to October though there are a handful of movies that I feel I must watch to get me in the Halloween spirit. This list is not in any way meant to be a list of my top 13 horror movies of all time but a list of top 13 Halloween movies. These are movies that may not necessarily be scary as hell…some are just charming and fun! Even if these films do not fall into your top 13 list, perhaps there are some titles here you haven’t seen and may be tempted to watch! On the final day of the convention, we packed our belongings and loaded the car before making a final sweep of the main hall. The Vampira Tribute began mid day and I stood in line to enter the event. In the distance, I could see all the hosts talking and joking around with each other. After spending the previous days moving about the convention, attending to all their individual commitments, this was the moment that would bring all the participating hosts together.